Can Veterans With 2 Years Active Duty Receive Additional Social Security Benefits? Aging veterans automatically receive special Social Security earnings credits. 1. How Much Do Military Credits Increase Social Security Benefits? 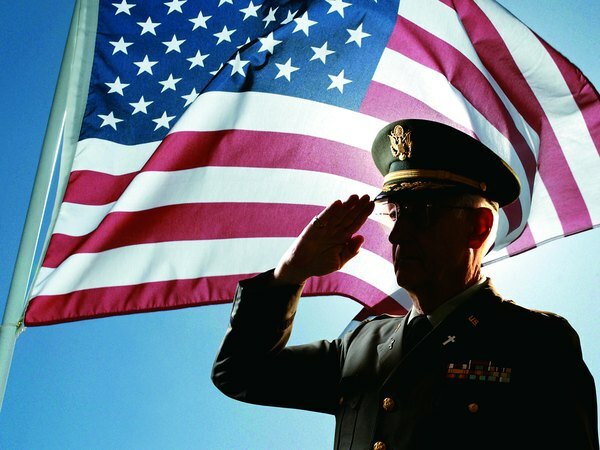 U.S. veterans who served on active duty after January 1, 1957, and before December 31, 2001, receive additional Social Security earnings credit for their service. This credit applies only to that period -- service after 2001 receives no special credit. Called extra earnings credits by the Social Security Administration, these credits may increase the amount you receive when you begin to collect Social Security benefits. These special earnings credits apply to anyone who served on active duty with the regular components of the U.S. Army, Navy, Marine Corps, Air Force or Coast Guard. They also apply to reservists who were on active duty for training. Formerly called ACDUTRA by U.S. Army reservists, or ADT by Naval, Marine Corps or Coast Guard reservists, active duty for training includes basic military training, technical schools or other training during which you received orders to active duty to maintain your military skills. If you enlisted and served at any time between January 1, 1957, and December 31, 1967, you don't need to do anything to receive these extra credits. The Social Security Administration automatically adds these credits to your records with the SSA when you first apply for benefits. If you enlisted and served at any time between January 1, 1968, and December 31, you still don't need to do anything; the credits have already been added to your SSA records. If you enlisted after September 7, 1980, you must have completed at least 24 months of active duty or your full enlistment, if you enlisted in the reserves, to qualify. If you served between 1957 and 1977, you receive credit for $300 in additional Social Security earnings credits for each calendar quarter you served on active duty. If you served between 1978 and 2001, the formula changes. For every $300 you received in basic pay while in active service, you receive credit for an additional $100 in earnings. The extra earnings credit is capped at $1,200 for each year you served. "Basic pay" doesn't include any allowances, such as basic allowance for quarters, basic allowance for subsistence, special pay, combat pay or hazardous duty pay. The "active service" required for credits means that you drew basic pay, while on active duty. Active service doesn't include inactive duty service -- the weekend drills required of reservists -- but it does include the required annual period of active duty reservists attend during the summer. Is Drill Weekend Pay Taxable? Are Legal Residents Who Work Entitled to Social Security Benefits? Can You Delay Starting Social Security Benefits on a Month-to-month Basis?